The Global Tinkering Initiative kicked off at a month-long science festival in al-Khobar, part of the Saudi Aramco Cultural Program. Over five weeks, more than 100,000 visitors are expected to attend. 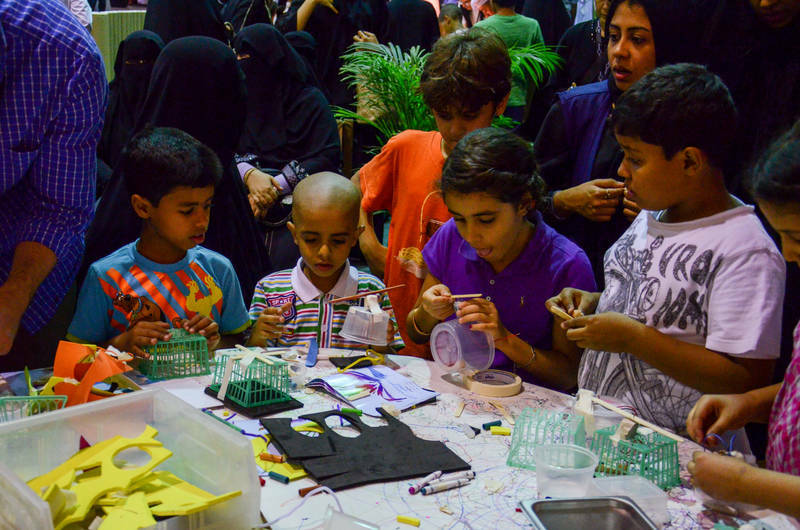 The Exploratorium brings its signature Tinkering Studio(TM) to al-Khobar, Saudi Arabia, as part of a month-long science festival expected to draw 100,000 students, parents and local educators. SAN FRANCISCO, CA--(Marketwire - Jul 11, 2012) - The Exploratorium, the global leader in informal learning, today announced the launch of its Global Tinkering Studio™ Initiative to extend the reach of its signature hands-on learning space to museums, science centers and cultural organizations and events around the world. The initiative kicks off at the Saudi Aramco Cultural Program, an annual science festival in al-Khobar, Saudi Arabia, which is expected to draw upward of 100,000 visitors over the next five weeks. Informed by 10 years of educational research and development, The Tinkering Studio™ invites visitors to build, hack, invent and "think with their hands" while working on individual creations that explore the natural world. As part of the festival, the Exploratorium's master tinkerers will hold professional development workshops that introduce local educators to tinkering and its application to science education. The Exploratorium is at the vanguard of science education reform in emerging markets, including the Middle East, a region anticipating a shift from an oil-driven economy to an information economy. In Saudi Arabia, schools have traditionally focused on religious and Arabic studies and have long struggled to produce the scientists, engineers and economists the country needs. "We're programmed to think that most learning happens inside a classroom, but it's often informal learning experiences that have the most lasting impact on young minds," said Dennis Bartels, Executive Director of the Exploratorium. "Tinkering teaches kids and adults alike to think critically and find their own unique style to solve problems by virtue of their missteps, trial and error, and ultimately success. It's this spirit of creativity, curiosity and invention that we want our global campaign to ignite, bridging cultural, language and social divides." The Tinkering Studio™, founded by Exploratorium educators Karen Wilkinson and Mike Petrich, engages visitors as active designers and constructors in activities such as painting masterpieces with light, testing out new paper airplane designs, freezing their shadows, or constructing a sonic pinball course. Museums, festivals and organizations in the US and around the world can collaborate with the Exploratorium to build their own studios with assistance from the Exploratorium's master tinkerers in the areas of exhibit design, staff training and community engagement. 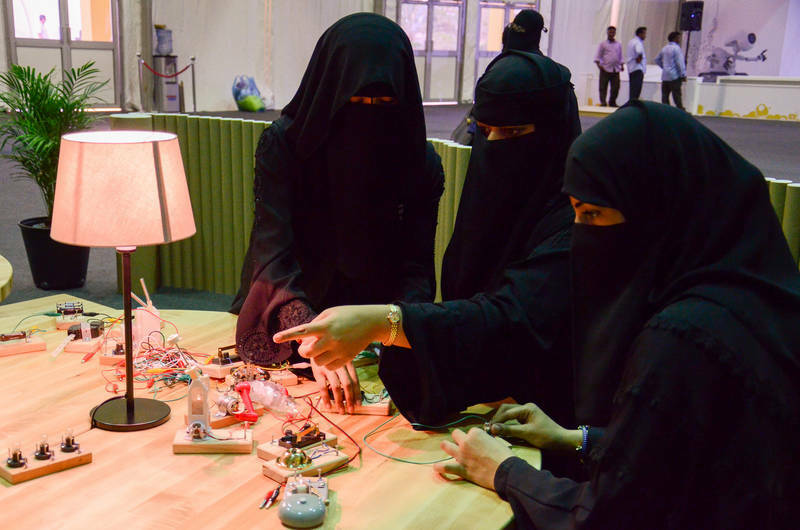 Prior to the Saudi Science Festival, the Exploratorium piloted tinkering programs with audiences ranging from MIT engineers and the Dalai Lama's monks to science museums throughout Arkansas. Follow the Exploratorium staff on the ground in al-Khobar, Saudi Arabia, as they introduce the next generation of Saudis to tinkering on the Tinkering Studio blog at http://tinkering.exploratorium.edu. The Exploratorium is the global leader in informal learning, igniting curiosity and inspiring creativity in people of all ages. The world-renowned science museum creates original, interactive exhibits, on display at more than 1,000 science centers, museums and public spaces around the world. Dedicated to education reform in and out of the classroom, the Exploratorium is a premier professional development center for educators and a creator of award-winning educational resources. Since 1969, the Exploratorium has influenced generations of entrepreneurs, artists, scientists, teachers, students, children, museum professionals and everyday doers, reaching nearly 180 million people annually from around the globe. In the spring of 2013, the Exploratorium will move to Pier 15 in the heart of San Francisco's waterfront district, where it will celebrate a new era of experiences that encourage critical thinking and awaken wonder for generations to come. For more information, visit www.exploratorium.edu.